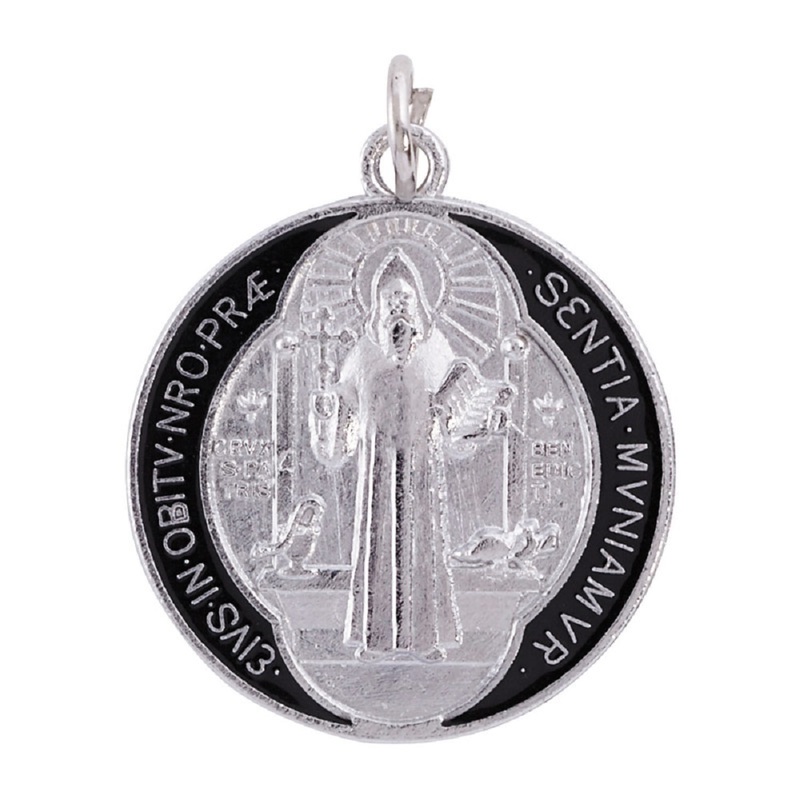 The St. Benedict medal is a Christian sacramental medal containing symbols and text related to the life of St. Benedict of Nursia. The medal is one of the oldest and most honored medals and due to the belief in its power against evil is also known as the "devil-chasing medal". 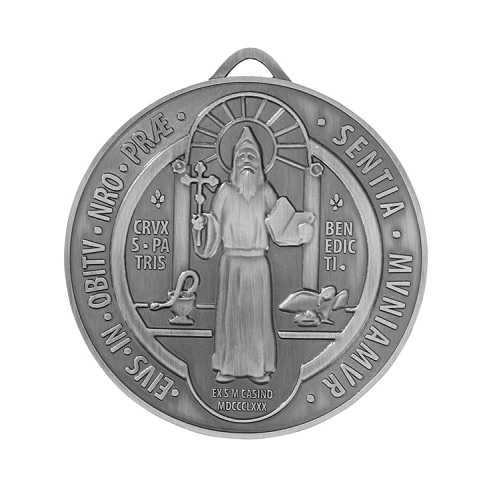 The medal is used by Roman Catholics to ward off spiritual and physical dangers, especially those related to evil, poison, and temptation. This medal features a black enamel accent, comes with a jump ring and is perfectly priced for gifts and give-aways.